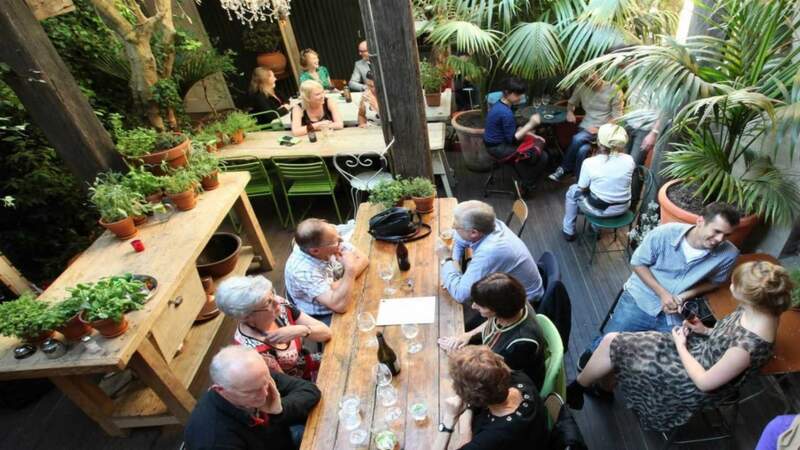 If you're looking for some eats in the heat, here are a few of Welly's sunniest sites. Wellington is famous for a lot of things. Sadly, sunny weather is not one of them. But every so often we're treated to a stunner and on those magical 'can't beat Wellington on good day' days, there's nothing better than enjoying some fine tucker in a sun-drenched spot. It'd be rude not to. 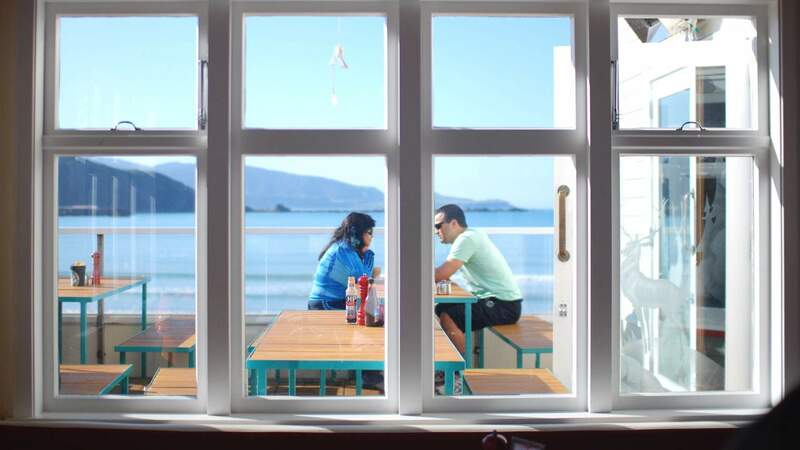 If you're looking for some eats in the heat, here are a few of Welly's sunniest sites. 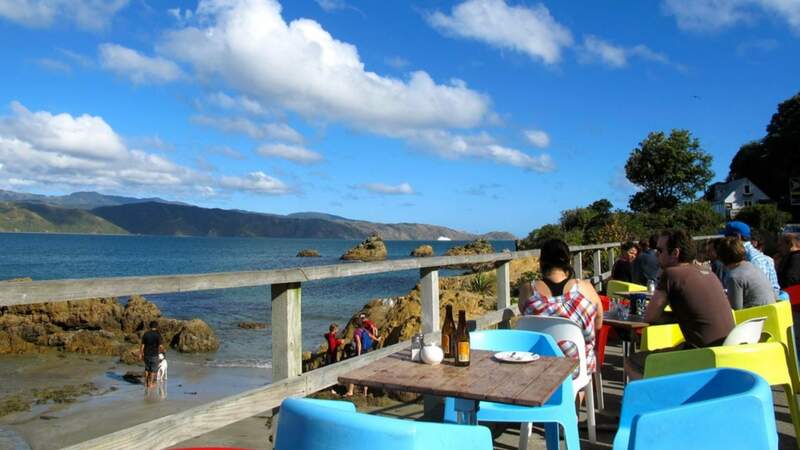 The jewel in sparkling Shelly Bay's crown, the Choccy Fish Cafe is an ace spot for locally sourced kaimoana, awesome harbour views and relaxed Kiwi barbecue vibes. Grab a beanbag or deck chair on the lawn and tuck into fresh seafood straight off the grill. Whitebait fritters and fish sammies are a top choice, but if fish doesn't float your boat, pick from other tasty bites including burgers and corn fritters. There's plenty here to keep the kiddies entertained too, with scooters, trikes and toys galore. 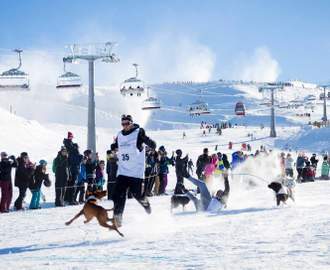 Round up the gang or the fam and head here for a sunny Sunday session. 100 Shelly Bay Road, Shelly Bay. 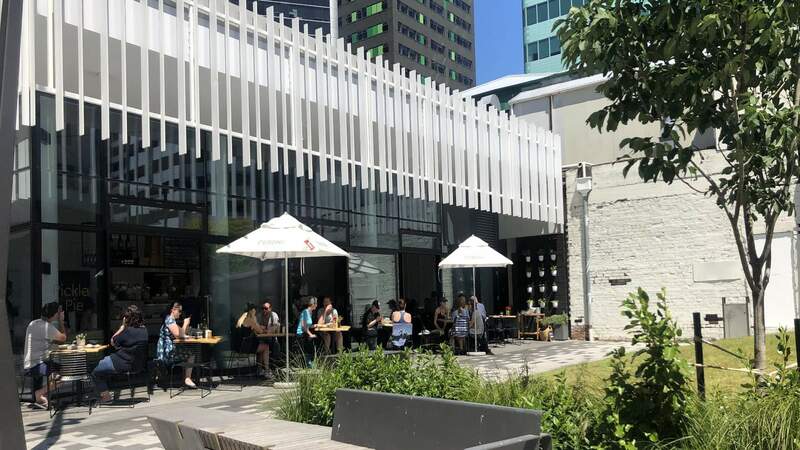 This inner city haunt on the revamped Lombard Lane boasts a gloriously sunny outdoor patio, making it an excellent pitstop for a bite to eat and a dose of vitamin D during your workday lunch break. Pickle and Pie offers its own spin on classic New York deli eats (think reuben sandwiches, bagels and pastrami-laden fries), but you really can't go past the dish du jour — house-made pies, served with a generous helping of mash, gravy and pickle, of course. Pickle and Pie is open evenings too, so you can catch the last rays of the day here while grazing on supper treats with a drink in hand. 2 Lombard Street, Te Aro. 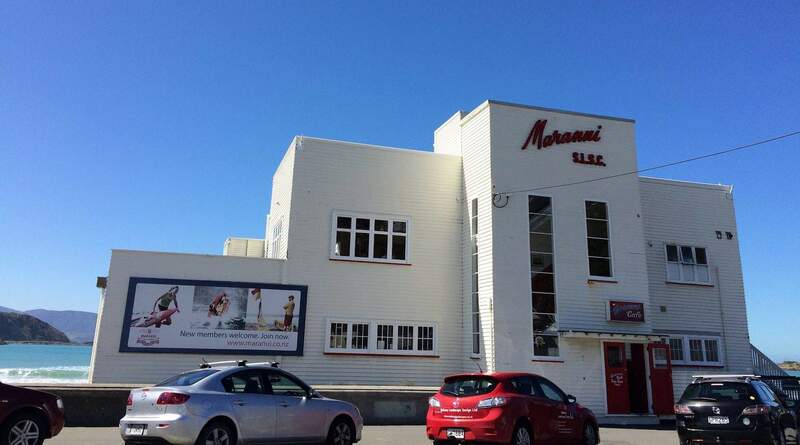 Would this list be complete without perennial favourite Maranui? This beachside beauty really shines on a good day, serving up surf snacks and cool bevvies on its sun-soaked deck. Situated smack bang on the sand, from here you can watch plucky surfers tackling the waves or be entertained by beach roamers as they're walked by their doggos. Fuel up on hearty grub like toasties, mussels or the Big Bay Breakfast or slurp on an indulgent iced chocolate, loaded with goodies. 7a Lyall Bay Parade, Lyall Bay. If you're a member of the pale skin club, dining outside can be a tad perilous and shade seeking becomes a regular pastime. Fortunately, Olive's leafy courtyard has you covered (literally). Hidden off Cuba Street, this garden oasis not only provides shelter from pesky UV rays, it's also a welcome respite from the hustle and bustle. Oh and it serves up bloody good food too, making it pretty darn perfect for a lazy brunch, long lunch or relaxing al fresco dinner. On the menu, classics like eggs bene feature alongside enticing seasonal dishes. The waffles of the day are a sure-fire sugar hit, while the buttermilk fried prawns with fragrant forbidden rice makes for a light and zesty lunch. Keep an eye out for Olive's weekly specials, including their bangin' Tuesday night deal, offering three courses for $45. 170 Cuba Street, Te Aro. Driving around Welly's eastern bays, you can't miss the splash of colour and kitsch that is Scorch-O-Rama, nestled beside gorgeously golden Scorching Bay beach. This hot spot is humming during the summer, serving up plenty of good grub for brunch and lunch, including mighty pancakes and fish 'n' chips. Brave enough to go for a dip? This is the perfect place to thaw out afterwards. Cross the road from the cafe and slide into the best seats in the house, right on the water's edge. From this vantage point, you'll be treated to beaut views of the harbour entrance and if you're lucky, you might even spot a dolphin or orca swimming by. 497 Karaka Bay Road, Karaka Bay. 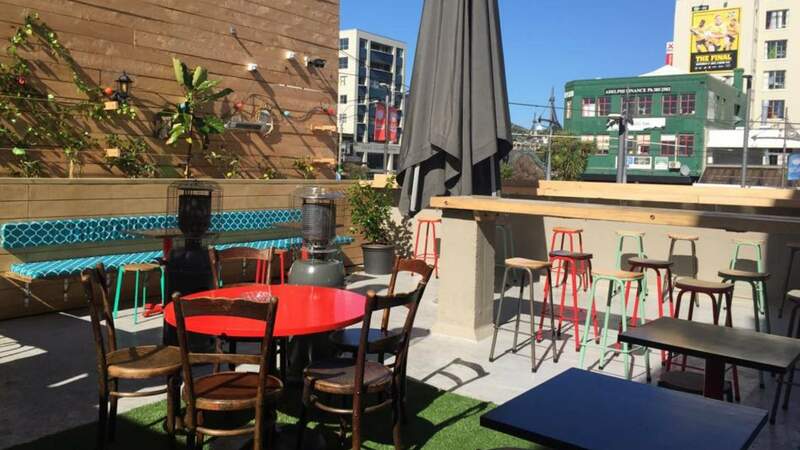 This Courtenay Place bolthole is the perfect destination to bask in the sun and while away those long, summer evenings over a pitcher of sangria. Settle in on the rooftop and graze on scrummy Spanish-inspired nosh like patatas bravas and paella, washed down with a cerveza or two. You'll be whisked to downtown Barcelona faster than you can say 'hola'. 8 Courtenay Place, Te Aro. 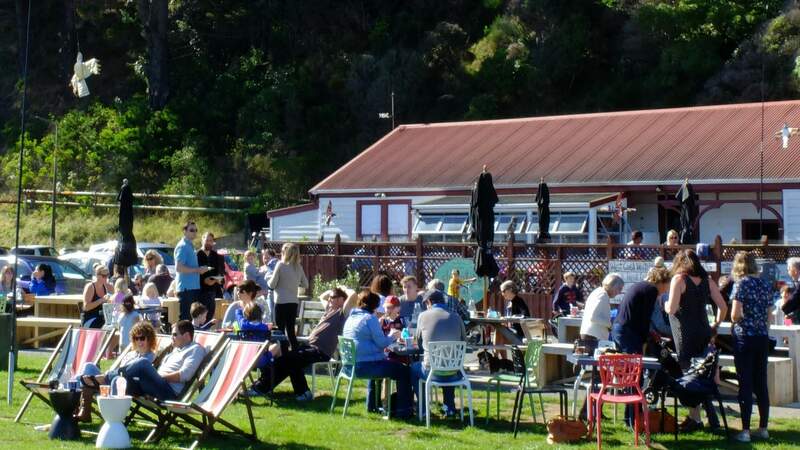 Like its sister cafe in Maranui, Seashore Cabaret in Petone, is a real humdinger when the sun's out. 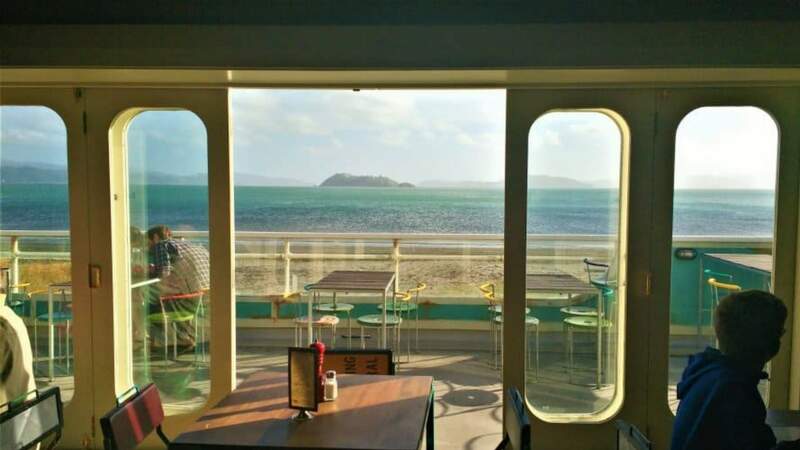 Located in an old surf club, this seaside establishment has a plenty of seating on its deck, offering stellar views of the harbour and Matiu-Somes Island. Open for brekkie, lunch and dinner, there's a bunch of tasty menu items and cabinet treats, including fish tacos and hot dogs. Pair these with a frothy shake or a Good Fortune coffee, roasted on-site so it's fresh as. Inside, the carnival-inspired decor is heaps of fun. Have a crack on the pinball machines or try out the Fortune Teller, straight out of the movie Big. Just be careful what you wish for. 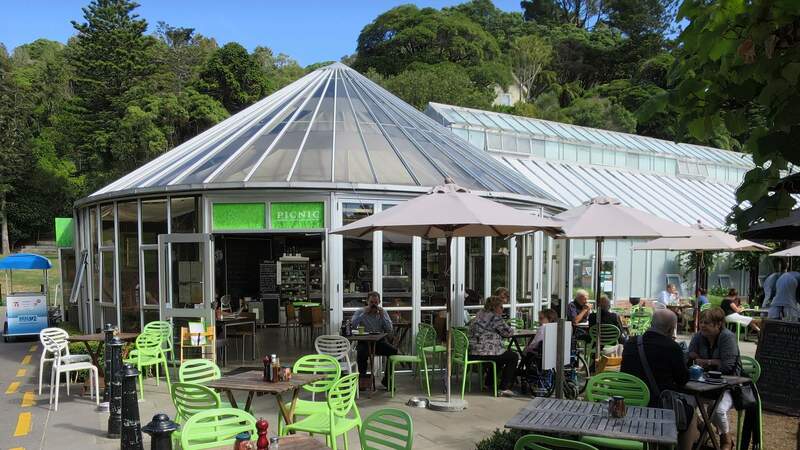 Tucked away in the Botanic Garden, this oft-overlooked cafe is a little gem, offering relaxed cafe eats in a sunny, garden setting. Grab a table on the vine-covered terrace and enjoy a hearty brunch, fresh baking or summery salads. 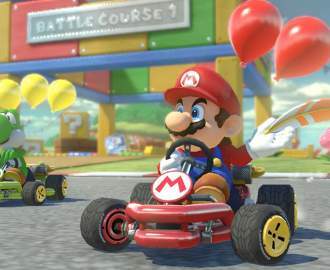 The creamy mushrooms are a winner and the iced coffees go down a treat. It's licensed too, so if you're in the mood for a glass of bubbly with your brekkie, go for gold. Dining in this floral setting feels a bit like hanging out in your nan's garden, but that's all part of Picnic's charm. And with the backdrop of the Lady Norwood Rose Garden, here you can literally stop and smell the roses. Bloomin' nice.